1) Turn your blog-entry’s pingback feature on. 2) Include an ordinary link on the blog-entry back to the other site. 1) Find and copy the special Trackback URL on the other site. 2) Paste the Trackback URL into the Trackback Box on the blog-entry composing form. Pingbacks and trackbacks are simply methods for one blogger to give another blogger credit and let them know their blog has been useful. As a whole, they are called linkbacks. Linkbacks are a way to get your blog a wider audience. 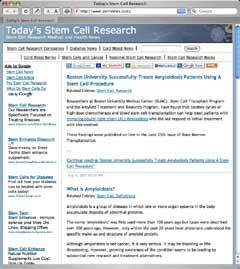 If I write on my, blog SciTechLab (below), about how five of 17 amyloidosis patients who received a second round of treatment had a complete remission from their initial treatment and I want to let the TSCR blog’s author know I used some information from TSCR, I would use either a trackback or a pingback. Pingbacks are the easiest to use. 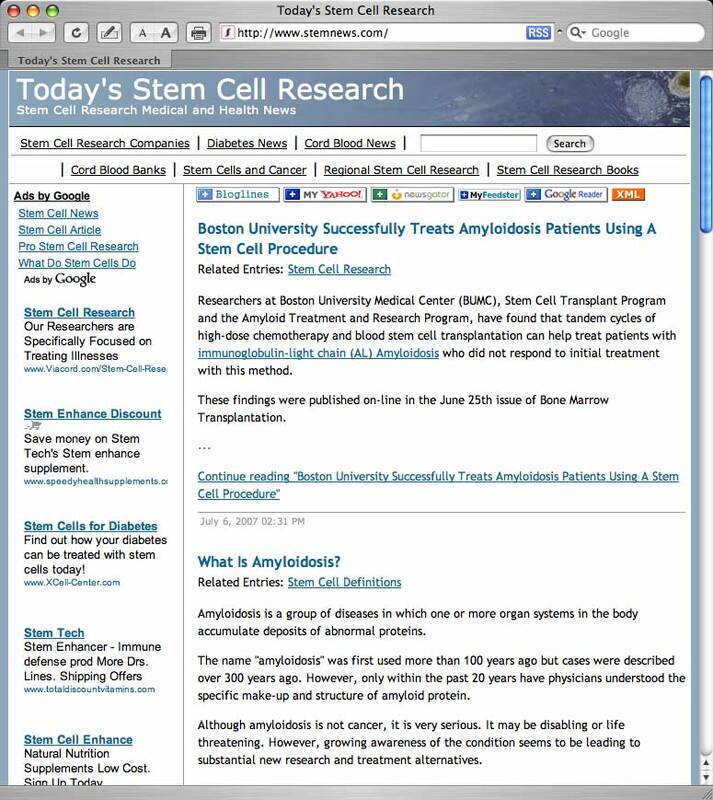 The title of my entry “Amyloidosis patients benefits from a second round of treatment” has a standard hyperlink, "http://www.stemnews.com/archives/ stem-cell-research.html," to TSCR’s blog entry: . When I posted the entry, I checked the enable pingback box on my entry. To use a pingback, I do not have to do anything else! The blogging software automatically sends the pingback-signal to TSCR. Kool! On SSCR’s end the software will automatically check for the existence of a live link back to SSCR’s site on my SciTechLab blog. If a live link is found and TSCR has pings activated, then TSCR will adds a link back to my SciTechLab blog beneath its blog-entry. I have successfully pinged TSCR. If you want to use trackbacks, you would need to search for a special link called a trackback link or trackback URL and copy the link’s URL address. These links are usually located just below a blog-entry. You’ll find two forms of trackbacks. Shown above is the hyperlink style. This looks like a regular link. To copy the URL address, just right-click it. Below is a trackback link that is written in plain text style. Copy the URL address (https://scitechlab.wordpress.com/2007/12/03/scitechlabs-quickguide-series-using pingbacks-and-trackbacks/trackback/) just as you would any text. Once you have copied the trackback URL, the URL needs to be pasted into the trackback box that is on your bloging site’s "Write Post Panel." 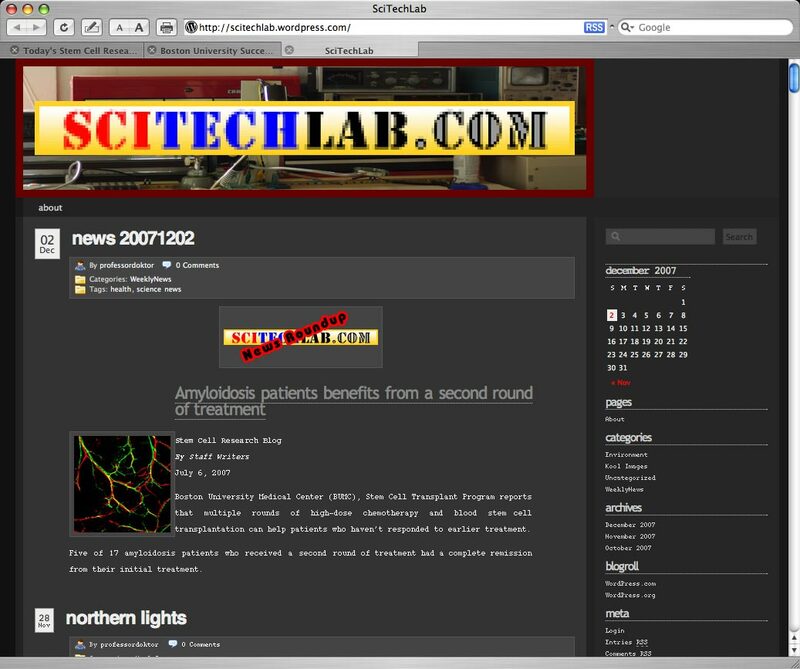 After the entry has been posted, your blog server software will send the trackback-signal to my SciTechLab blog site which will then add a link back to your blog beneath the SciTechLab blog entry. Note: Many sites disabled trackbacks (but not pingbacks) because of their susceptibility to spam because unlike pingbacks, a live link isn’t needed. This entry was posted in Quickguide Series and tagged quickguide, scitechlab. Bookmark the permalink.